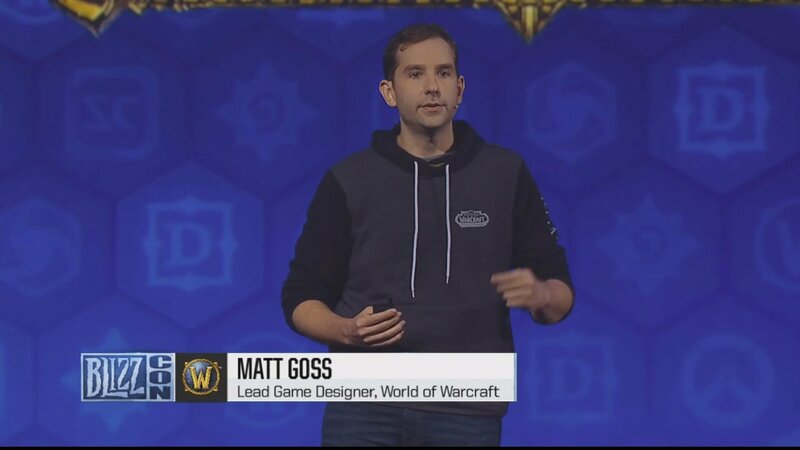 Matt: All right, guys let’s go to war. So. 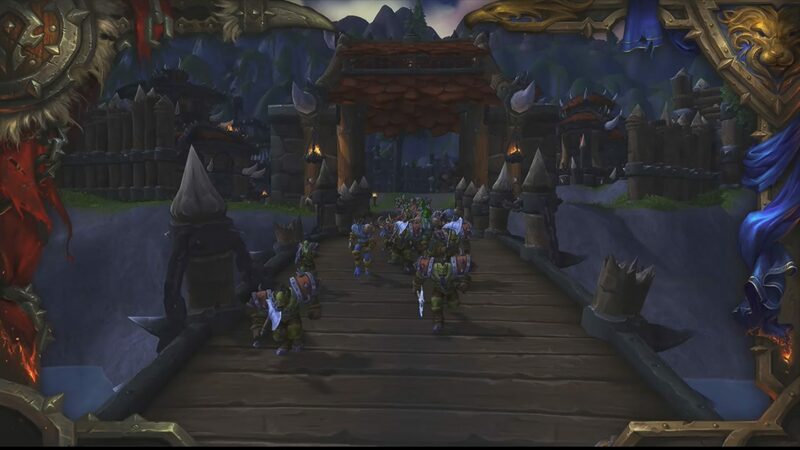 You saw islands, islands are telling the story of the skirmish that’s going on between the Horde and the Alliance, between our two continents. 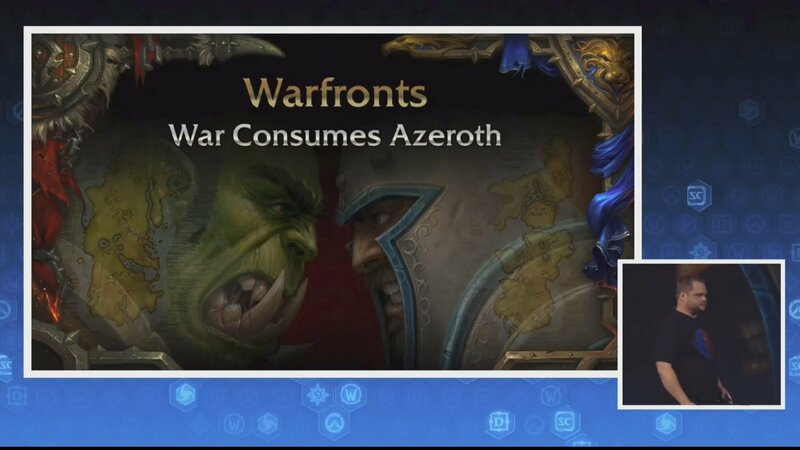 Warfronts are telling the story of war on the homeland. 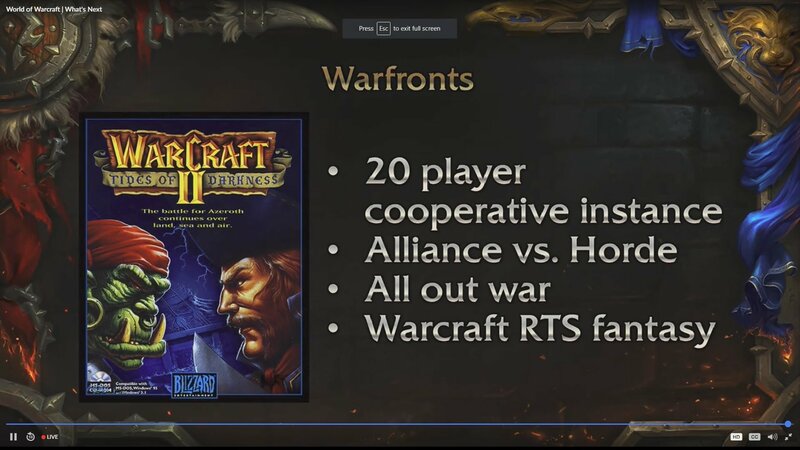 So these are 20-player cooperative experiences. So you and 19 of your closest faction friends will take it to the other team. It is Alliance vs Horde. It is Red versus Blue. It is orc versus human; and this is your time to stand with your faction and take down the other side. 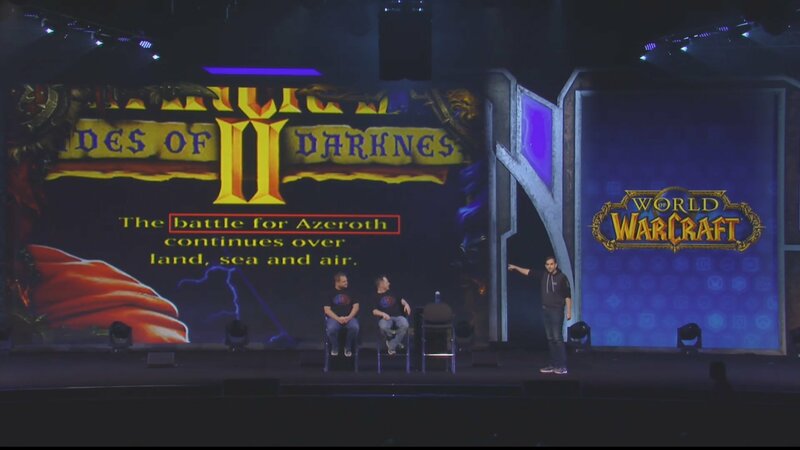 So we are really looking back to our Warcraft RTS fantasy roots with this system. But again it is on the ground. You are fighting on the ground with your troops, building buildings with your character — using your powers. 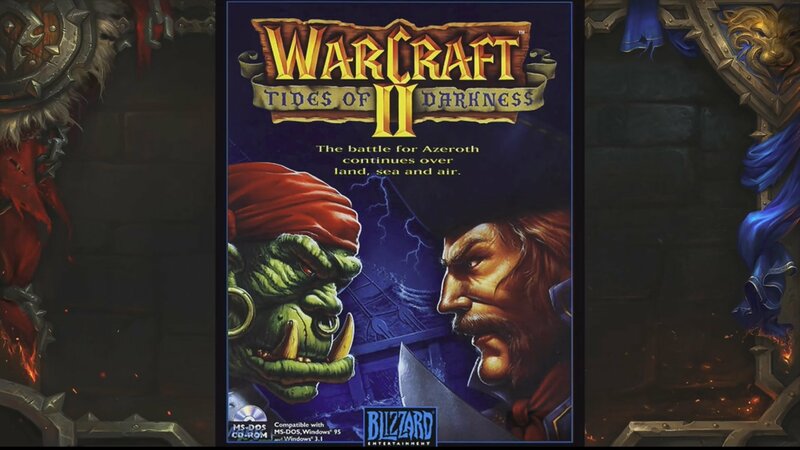 So this picture of the original box of Warcraft II — I think really symbolizes… that’s weird… Did you guys see that? Can we enhance this? Wait… Battle for Azeroth is on this box? And no one noticed? Tides of Vengeance in this? Okay. Anyway. Ok. 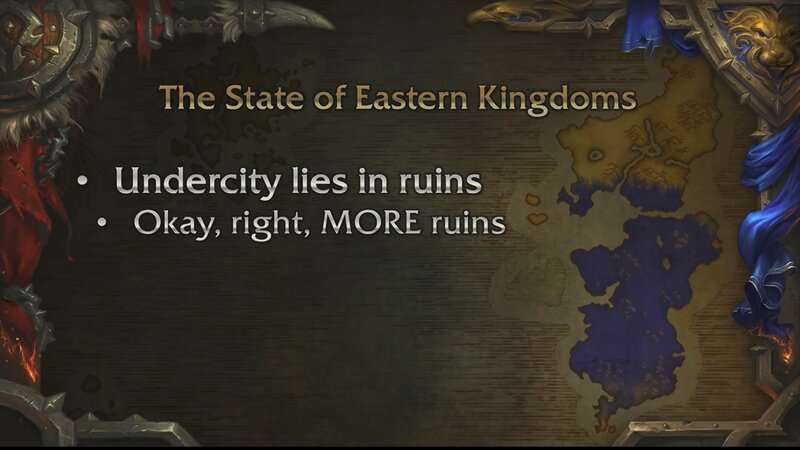 So let’s talk about Eastern Kingdoms. So what you saw in the cinematic. Undercity lies in ruins now. Ok, ok, you are right. You are right: “Wait, wait more ruins?” I guess it was already kind of messed up before, but definitely more ruins at his point. 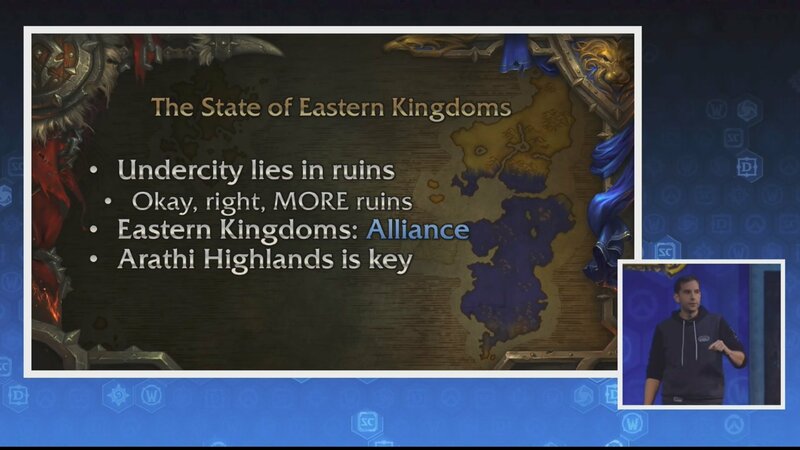 So this means that the Alliance have control over Eastern Kingdoms. It is very close to falling to the full Alliance. 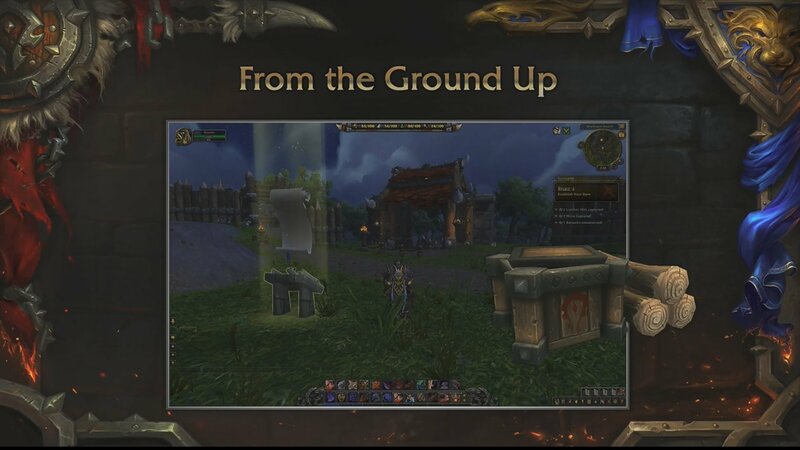 The fight is going to continue in Arathi Highlands, where the remaining members of the Horde will face off against the Alliance — pushing north. All right. 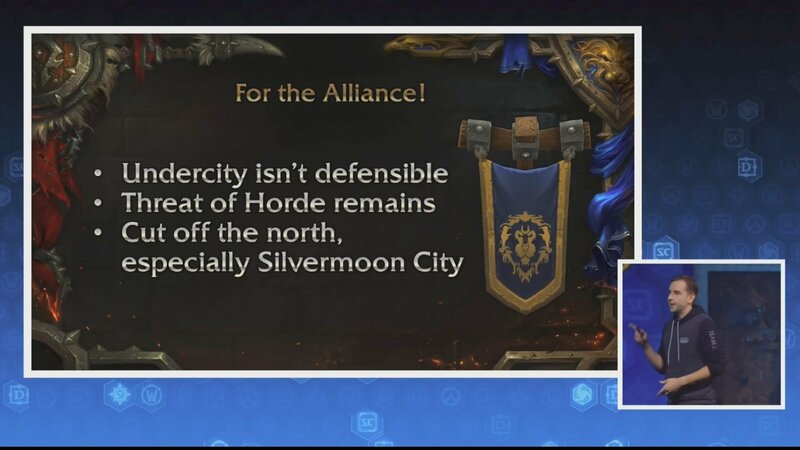 So for the Alliance, why is this important? While the Undercity is indefensible, the Horde is still up to the north, and they are still angry. Silvermoon city is up there. It is a zone boundary away. There is like a Loading Screen, but they can probably make it through. Probably make sure. And this is a place you can make a stand to cut off the north. So the first Warfront that we are going to have in Battle for Azeroth is Stromgarde. The fight for Stromgarde. OK. That’s the original version of Stromgarde. That’s the new version of Stromgarde. So we are still working on the map. So it could probably change as we get through it all, but it is very cool. 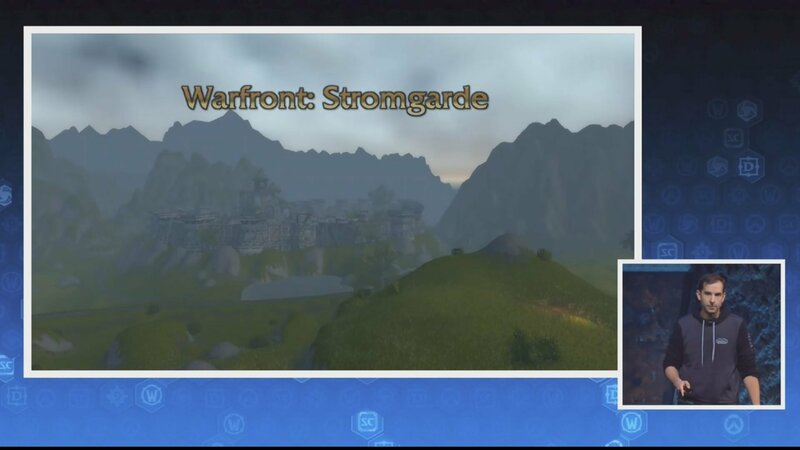 So Alliance you are going to try to reclaim the original seat of Stromgarde, and use it to defend yourself against the Horde. 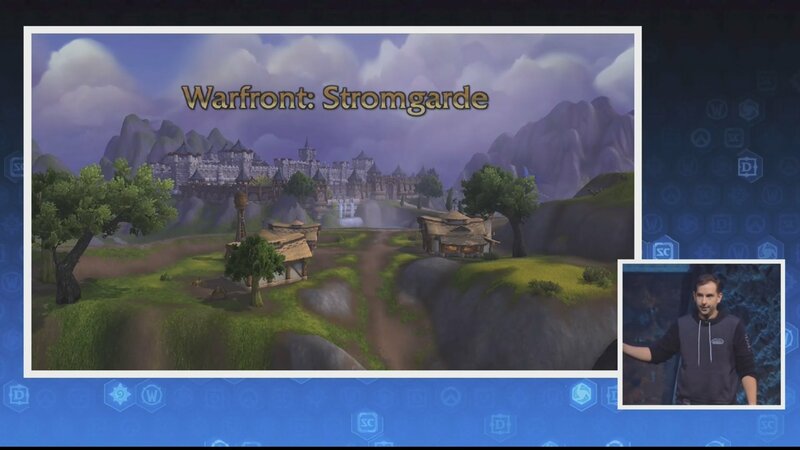 So the first thing you are going to do when you get to a Warfront is you are going to establish your base. 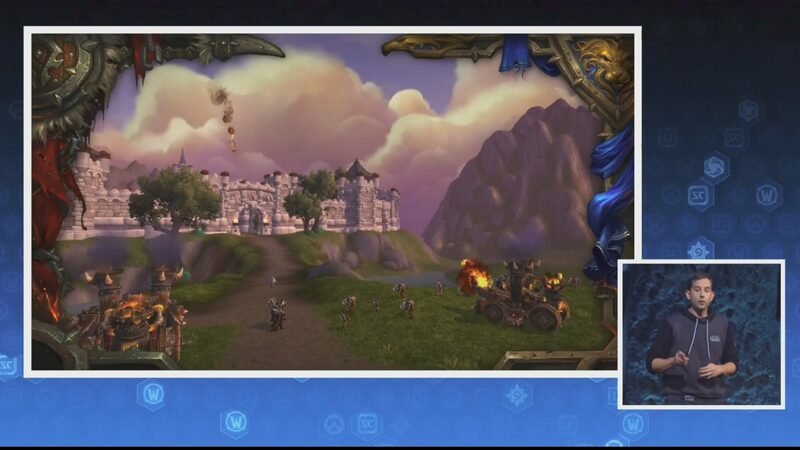 So for Alliance, you are going to build a Town Hall. 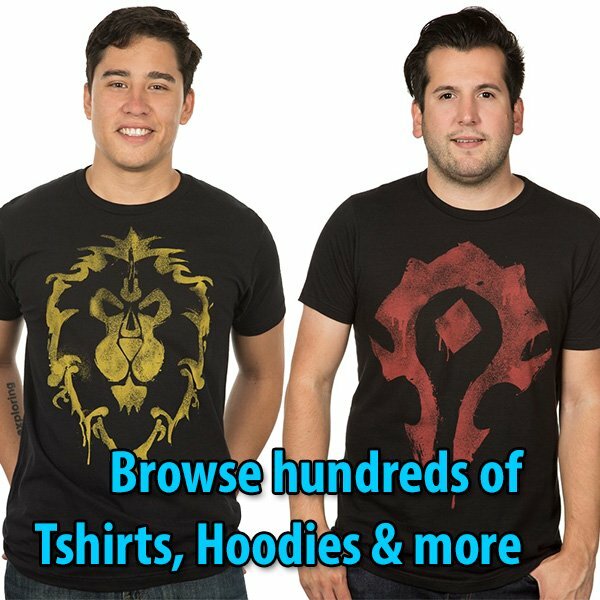 For a Horde, you are going to build a Great Hall. After that, you are going to do one of two things: you are going to start gathering resources, and you are going to start taking territories. Resources are very important to the to the game, just like they were in the original RTS. You have got to collect lumber, you have got to collect iron, and you got to put those together to build buildings. Territory is also very important, because territory will unlock new buildings, and new research; and new available opportunities that you can take on the battlefield. All of that iron and lumber that you are building, and a fantastic Flannel progression system that you will have for chopping down trees, you are going to build your base. So this is actually the original Warcraft III tech tree for Horde. We are trying to follow this as close as we can, because we think it is awesome. So you are going to build a Great Hall. You are going to build a Barracks, and from the Barracks you are going to train Troops. 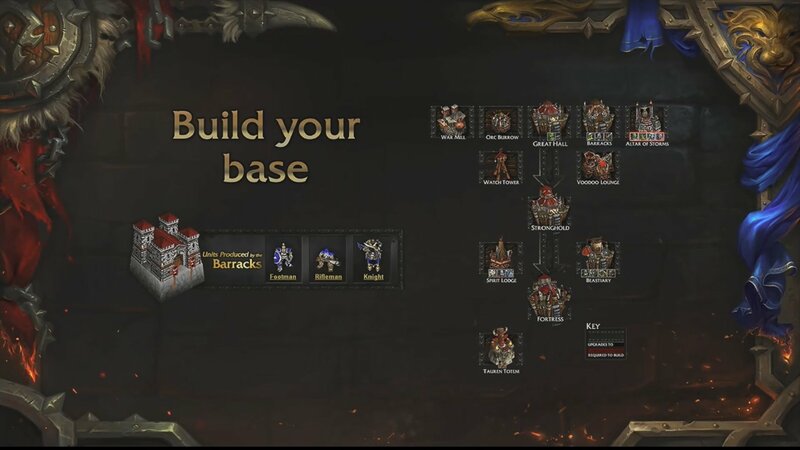 You can build an Armory which upgrades your troops. You can build a Spirit Lodge to build Shamans. All of those things will be important for the fight. 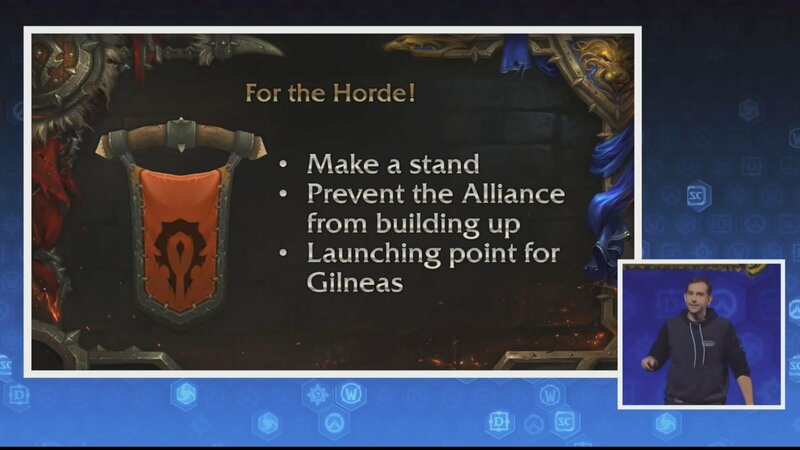 If you are Alliance, you are also going to build a Barracks, but it will be Riflemen and Footmen, and Knights. Just like the original RTS. So the way this works is you actually get to gather your resources for yourself, and then you can contribute them to which building you want to build. Whenever that building has enough resources to build, peons will start running over and putting it together. So the choice is made by everyone if you work together. You are going to build buildings fast. You are going to go through it, but nothing is lost. With those buildings, you now need to build your army. So each building that you build that builds units (like the Barracks), you will be able to build those grunts and footmen, and you will send them to the front line. When you build them, they’ll take off running to the front. But you should be there with them. You need to lead them into battle. You are going to the enemy gates. You are destroying their walls. You are killing their commander. That’s what you need to do, and you need an army to do that. But again, you are not the only one here. The other side is also there. They also want to build an army, and they might have already built an army. They also want to take your gates down. They also want to crumble your walls, and kill your Commander. 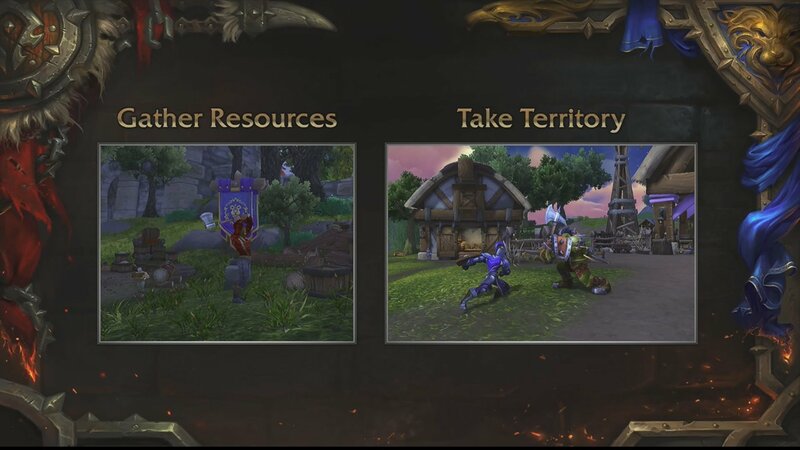 So not only are you taking territory, and gathering resources — you are also defending. You need to defend the territory that you take. You need to defend your base, or else you lose. So each time you play through a Warfront, we are trying to look at different systems to make it feel different. One of the ones we are really excited about is this concept of different enemy commanders. Again… going back to that original Warcraft fantasy. 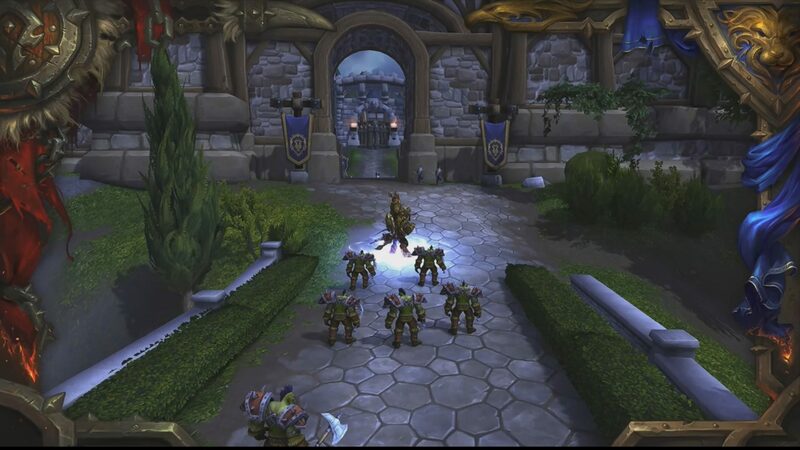 So imagine you have a human commander that you are fighting against as Horde. He might have upgraded knights, and footmen that he sends all the time. 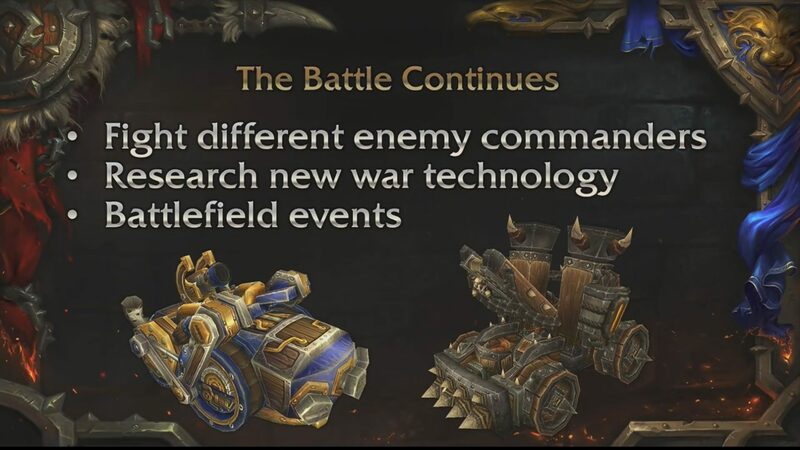 Or you could have a Dwarven commander who has upgraded rifleman; and also has a special unit that no other commander has: a dwarven mortar team. You are also going to be able to research new war technology outside of the Warfront, so that you can bring it in the next time you play; and finally we are actually having these battlefield events prop up while you are playing the game. So let’s say in one of your games, the goblin merchant shows up, and he offers to pay for some mercenaries to fight for your side. 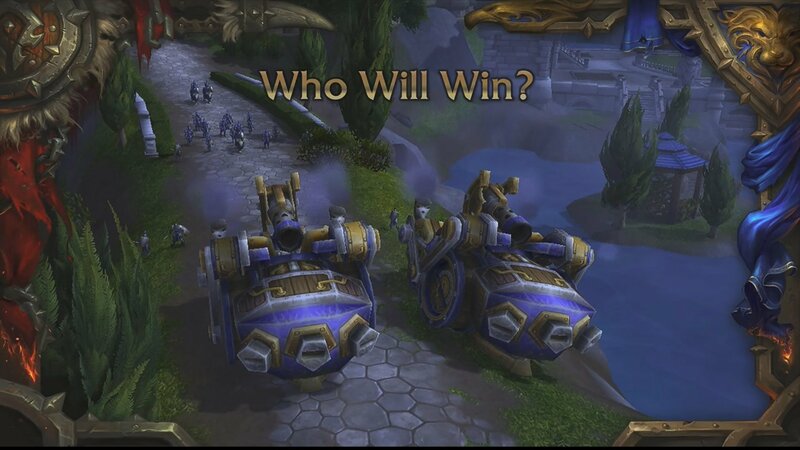 That is all we have to show for Warfronts today. Moving to the next topic: Social features.